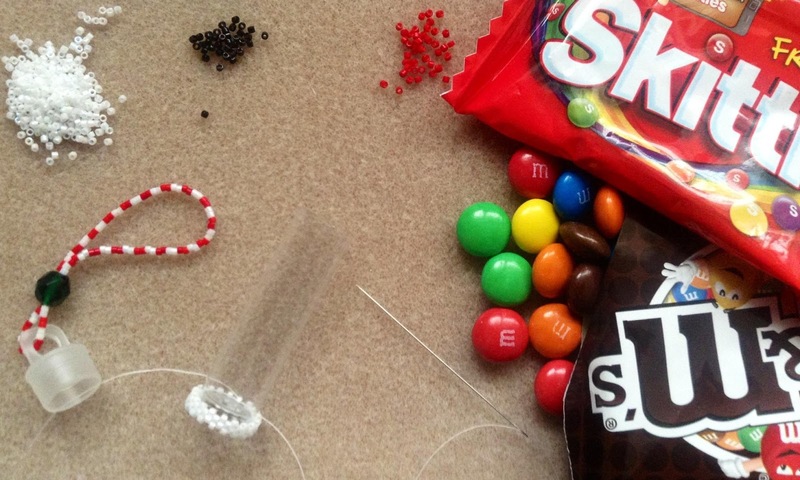 The Beading Blog By ThreadABead: Take a guess what I am making? One of the benefits of designing ornaments to hold chocolate and sweets is you can sample the leftover sweets as you bead! I wonder if anyone knows what character this tube ornament is going to be? Expect his friend on the site at the end of this month!